Your face is exposed to undesirable conditions twenty-four hours a day. When you need to give your skin a well-deserved refresher, this One-Step Exfoliating Facial Cleanser with Orange Extract will treat your fatigued complexion to a restorative cleanse. With the action of silica micro-beads, this exfoliating scrub will gently polish away dull cells on the skin’s surface to restore the natural glow beneath. Orange extract revives the skin while moringa seed extract works to purify and perfect your complexion. Impurities and build up will vanish with this easy-rinse formula. 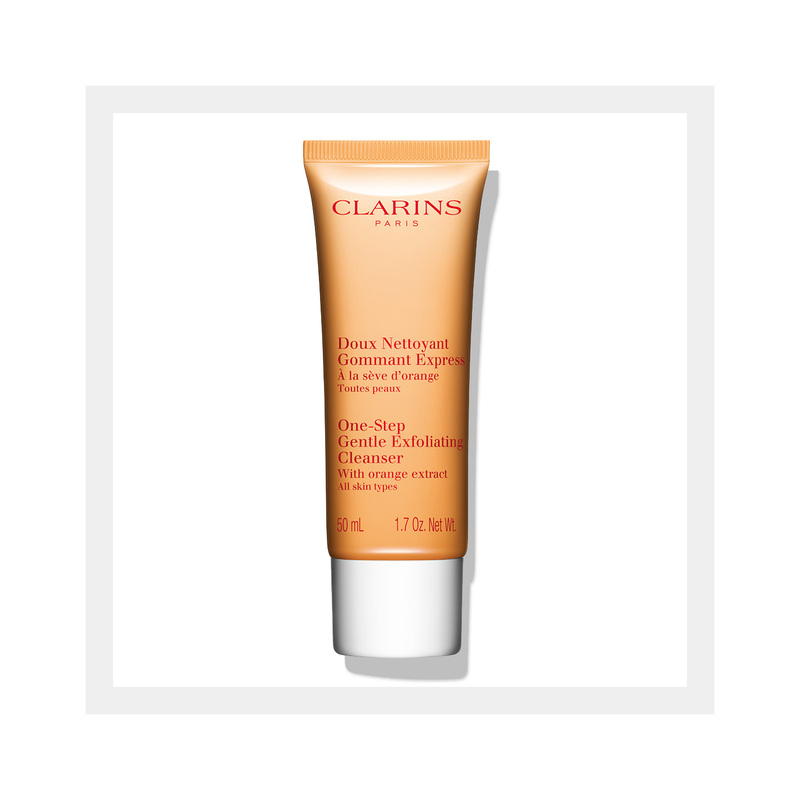 Perfect for sensitive and dry skin on the go, Clarins' exfoliating cleanser doesn’t disrupt the moisture balance. Limited Edition.